The prevalence of omnichannel shopping by today’s consumers requires retailers to offer an assortment of online order options that balance cost, delivery and pickup methods, and time in transit. Understanding consumers’ preference for spending a little extra on merchandise to earn free shipping or how delays in delivery and out-of-stock scenarios affect shoppers’ future purchasing habits provide decision makers with key insights for creating their omnichannel offerings. 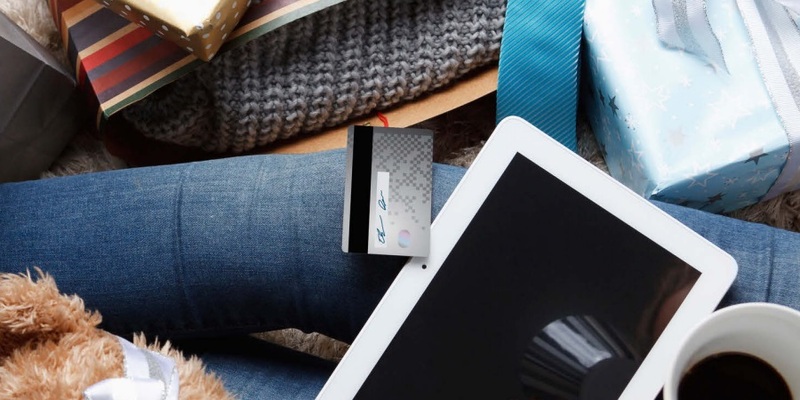 Radial and CFI Group recently surveyed 500 retail shoppers to find what matters most to them, specifically during the crucial holiday season when online shopping is at its highest. First and foremost is the importance of ensuring that products are in stock and available on a retailer’s website. When asked how discovering an item is out-of-stock online during the holidays would affect their shopping behavior, 81% of respondents said they would be Somewhat to Very Likely to shop on a competitor’s website to purchase the item. A mere 5% said they would be sure to continue shopping with the retailer despite the unavailable stock, illustrating the significance of keeping items readily available for holiday shoppers. Survey participants were then asked about their fulfillment preferences in terms of delivery times and cost—and the results were startling. Highlighting an opportunity to increase the size of the average order, 91% of respondents said they would be willing to spend more to qualify for free shipping. Respondents also expressed their patience in waiting for their order to arrive, provided the extra time came with a break in the shipping costs. Eighty-nine percent of shoppers surveyed said they would be willing to wait 5-10 days for delivery and opt for a low-cost shipping option. Shoppers are less willing to wait for their complete order just to ensure they receive multiple items in one consolidated shipment. Only 41% of respondents said they would be willing to wait longer for delivery for this reason, while 39% said they do not mind receiving multiple shipments for a single order. The remaining 20% feel differently, however, and claimed they would pay more just to have all items delivered at once. Shoppers are not looking to pinch pennies—they are looking for value. For some, this means buying more to receive a free shipping offer. For others, it means spending a little extra for the convenience of receiving complete orders in a single shipment. Retailers who make a variety of choices available for the assorted preferences of their shoppers will be well positioned for success during the holiday season. Retailers wanting to appeal to consumers looking for the immediate gratification of free shipping without extended delivery time now offer an in-store pickup option. More than one of every five respondents said they use instore pickup for holiday purchases, with over half of them citing saving money on shipping as the motivating factor. The in-store pickup option gives online shoppers the ability to make their purchase from their computer or mobile device and then pick the order up without having to navigate the store—a convenience even more valued during the busy holiday season. This particular option could become even more popular if transportation costs increase. When asked how increased shipping rates would affect their likelihood to use the in-store pickup option, 78% of respondents said they would be Somewhat to Much more likely to use in-store pickup. An additional benefit of the in-store pickup option is the assurance that products are readily available and not subject to shipping delays. Whether it’s the winter weather or excessive volume that accompanies the holiday season, late delivery inevitably affects a consumer’s likelihood to make future purchases from a company. At 51%, over half of those surveyed said holiday purchases arriving late would keep them from shopping at, or at least make them question whether to shop at, that retailer in the future. Offering shoppers an option to pick up their online order in a store and not rely on shipping providers, especially during the holidays when time is of the essence, yields a greater market share for prepared retailers. This quarter’s study also examined the communication patterns and preferences of holiday shoppers when reaching out to customer service. While still accounting for the majority of contacts, the 54% of respondents who said phone calls were their preference for contacting customer service represent a 16% decline from a year ago. The offsetting increase is seen in the now 25% who prefer live chat (21% in 2015) and 19% (up from 15%) who said email was their preferred channel. This trend can be expected to continue with the rise of a tech-savvy consumer base who cite greater convenience and reduced response times as reasons for hanging up the phone and contacting customer service online. As for the reasons shoppers are contacting customer service during the holidays, 37% said their primary reason was related to a shipping or delivery question and 27% said they needed product information. These types of basic information requests can often be easily handled online and reduce the amount of live agents needed to handle customer calls over the phone. Retailers can also benefit by ensuring answers to frequently asked questions (FAQs) are available to shoppers as 83% of respondents said they will, at least occasionally, first try to use a self-service option before contacting customer service directly. In keeping up with the changing landscape that technology has brought on, companies must be keenly aware of customer feedback via social media. Seventy-seven percent of shoppers surveyed said they are Somewhat to Very Likely to share their experiences on a social media platform. While it is important to monitor and evaluate this specific type of feedback, that is only the first step. The majority (56%) of respondents who post feedback on social media said they expect a response from the retailer; and not just a response, but one that is prompt. Twenty-seven percent of those expecting a response said it should come within hours, and another 43% said they would expect a response on the same day the initial feedback is posted. From a historical perspective, the social media phenomenon is brand new, but retailers who do not have a dedicated team connecting with customers in this way are being passed up by the competition who realize the importance of this social media contact. The final topic our study examined was the effect of orders being inaccurately identified as fraud attempts, which has happened to 18% of this quarter’s respondents. While credit companies and retailers must be aggressive in detecting fraud in today’s marketplace, 22% of those who had an order incorrectly identified as fraud said they will no longer shop with that retailer, and another 57% said they are hesitant to do so. These statistics illustrate the importance for companies to keep pace with the times by utilizing smart technology that accurately identifies fraud while not holding up legitimate orders. The exponential growth in technology over the last decade has made omnichannel shopping solutions a requirement for competitive retailers. Comprehensive mobile shopping platforms, multiple fulfillment options, a social media presence, and state-of-the-art fraud protection are all now offerings that contemporary shoppers expect. Companies that continue to raise the bar of expectations through technological innovation and customer connection will be industry leaders primed for success.